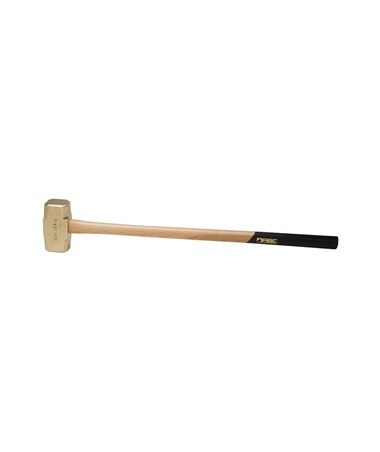 ABC’s 12 lb Brass Hammer is designed for ultimate safety and durability. Because it’s made of brass, it won’t give off sparks when it strikes metal. This makes it ideal for dealing with flammable materials such as in the oil and gas industries. Brass also yields on impact and leaves no dents on metalwork. It’s perfect for automotive work or gunsmithing. A double-faced head balances the hammer’s force and gives you twice the striking surface. This hammer is offered with a choice of two handles. 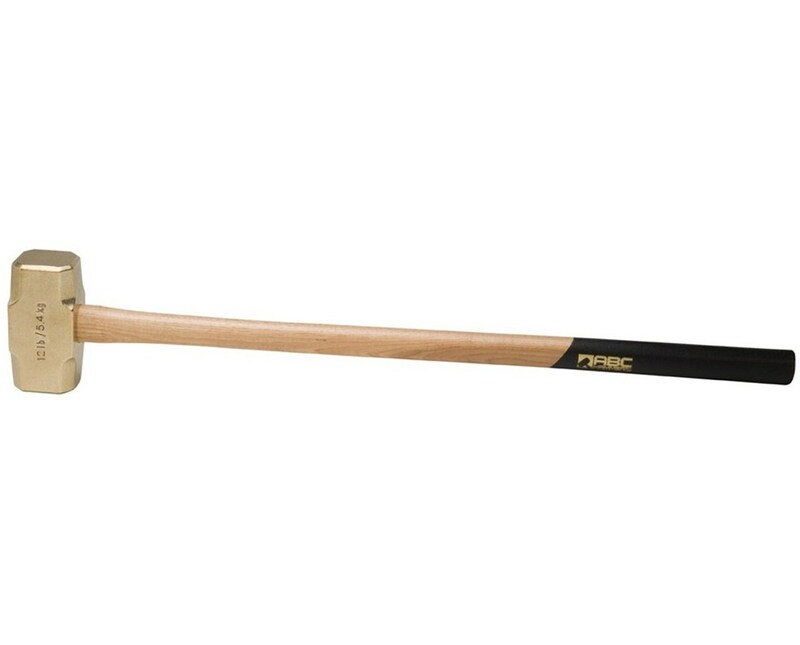 Classic wood handle is 32” of grade-A Tennessee hickory. It’s tapered for a comfortable hold and finished with urethane sealer for durability. Includes a textured non-slip grip for your ease of use. 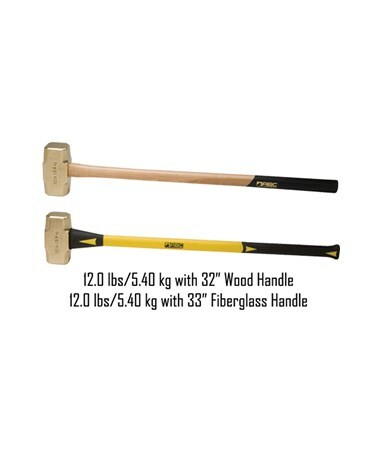 Fiberglass handle is 33” long and high-visibility yellow. It has ergonomic cushion grips for added comfort and is made with a shoulder-protecting design. ABC’s unique wedge design ensures that the hammerhead is permanently secured to the handle. For extra safety, wedges are made of brass, eliminating sparking found with steel wedges. Hammer is corrosion-resistant and needs no particular care or storage. Includes a lifetime manufacturer’s warranty. Made in the USA.